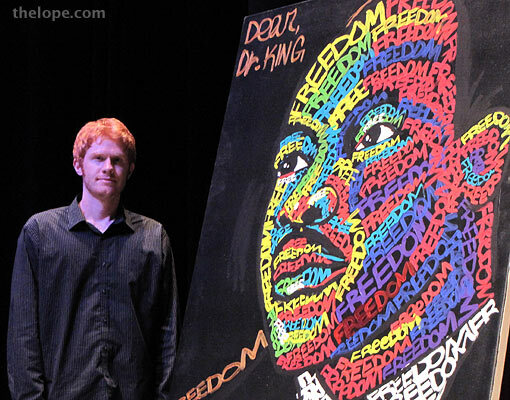 The eyes of Martin Luther King gaze from a painting by artist Jordan Craig. 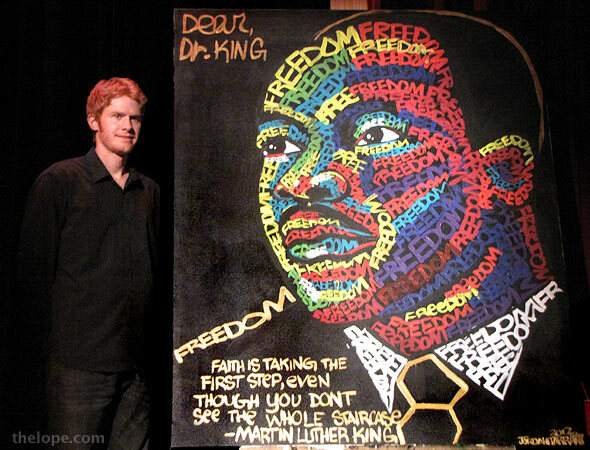 Craig worked on the painting on stage during the "Dear Dr King" birthday celebration at the Orpheum Theatre in Wichita, Kansas, Sunday night. 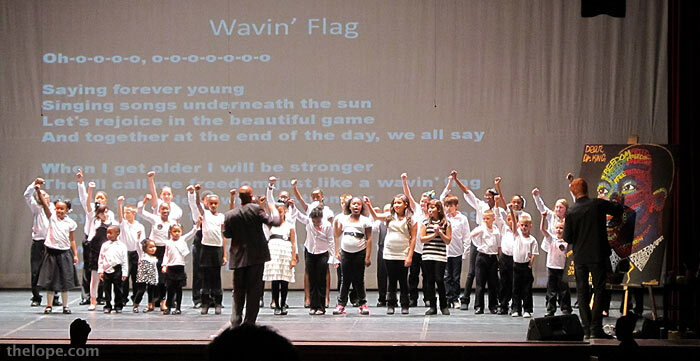 The event was a function of The Kansas African American Museum (TKAAM). 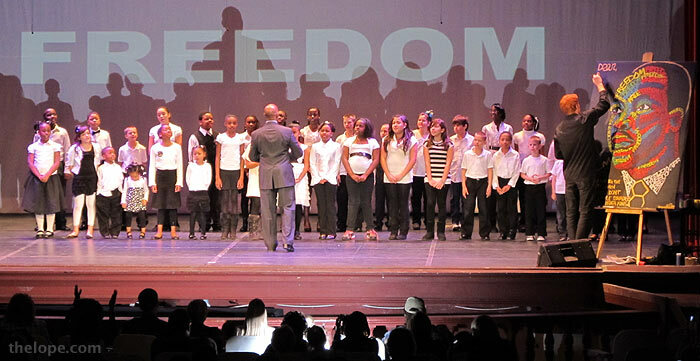 On stage in this photo is the TKAAM Youth Choir. 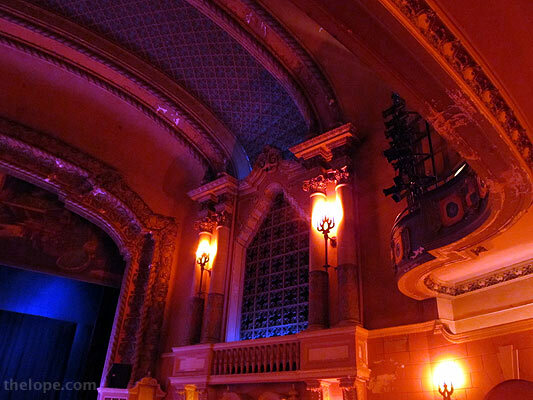 Of course, every time I attend an Orpheum event I'm bowled over by the great restoration job on the architecture. 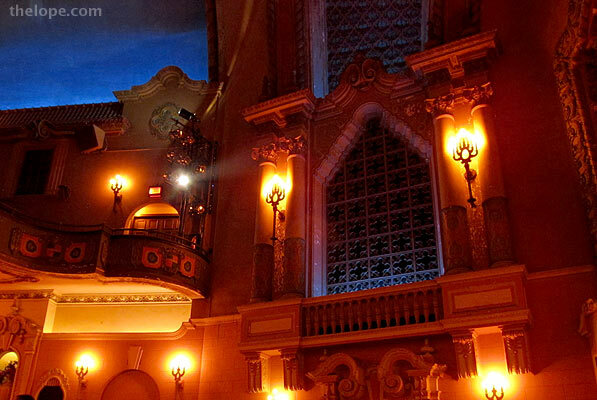 For more photos of this atmospheric theatre see our previous post on Arlo Guthrie at the Orpheum. 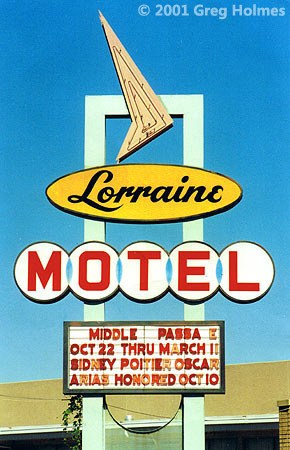 For the first of our previous Martin Luther King posts, see Lorraine Motel. 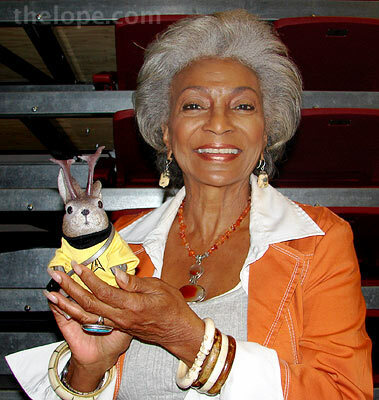 And see how King may have influenced Star Trek in MLK Remembered in Googie, Gothic and Sci-fi. 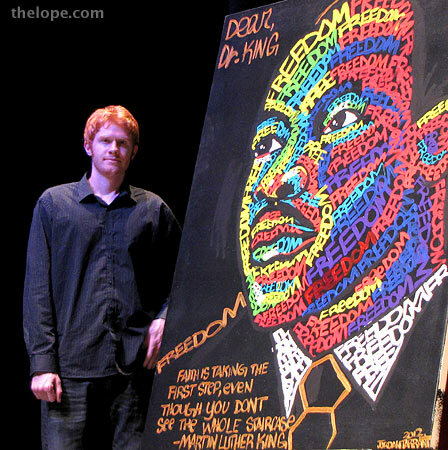 To see what's coming up at the Orpheum, check here. 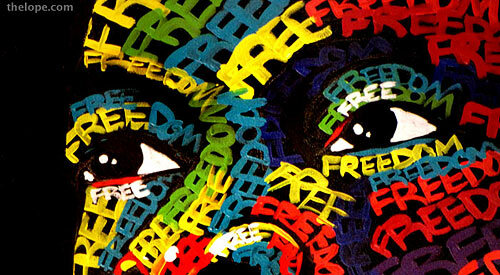 To learn about The Kansas African American Museum, read here. 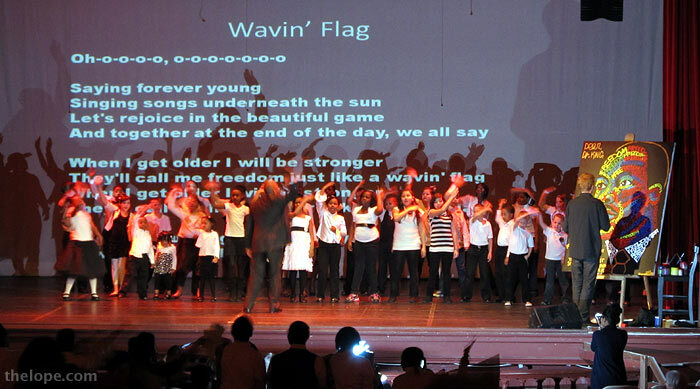 Santas with giant boots - what's up with that?